Khlong Suan 100 Years Market is a tourist market located on Khlong Suan canal about 29 km to the East of Bangkok Suvarnabhumi International Airport on the border of three provinces: Chachoengsao, Samut Prakan and Chon Buri. The Khlong Suan 100 Years Market is very popular with Thai tourists, but receives few foreign visitors in part because it is difficult to get there from Central Bangkok and in part because there few tour operators running organised visitors here for foreign visitors: the more famous floating market and crocodile farms are more likely to appear on tour group itineraries than the Khlong Suan 100 Year Market. Taxi: You will need to negotiate a price. Expect to pay around 1,000 THB for a taxi driver to take you there from Central Bangkok, wait for you to look around, and then take you back. Bus: The bus from Ekkamai Bus Station on the Sukhumvit Road to Bang Khla passes by the entrance to the market. Ask the driver to stop at the market when you board the bus. In Thai the market is called ‘Talat Khao Khlong Suan Roi Pee‘. 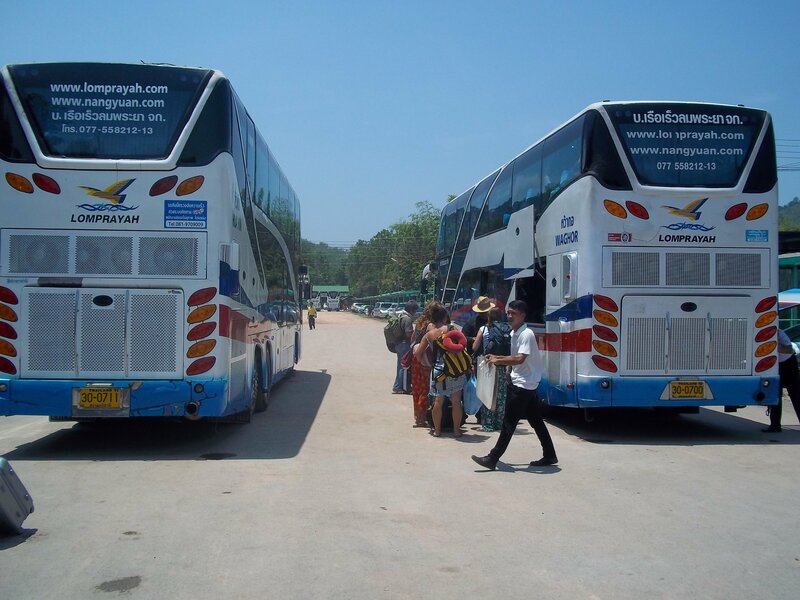 Via the Airport: A cheaper option is to travel via the Airport Link to Suvarnabhumi International Airport. From Suvarnabhumi International Airport a meter taxi to the market should cost you around 250 THB. The Khlong Suan 100 Years Market was established as a canal side trading centre by a Thai-Chinese Community early in the 20th Century. 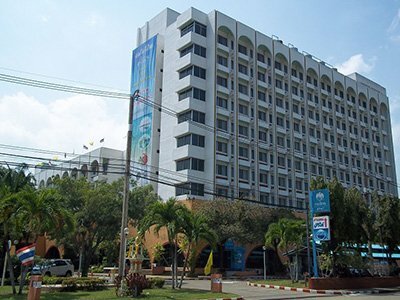 The market is positioned on what was the main waterway into Bangkok from the east at the border between 3 provinces which afforded the market stall owners a high turnover of passing trade. 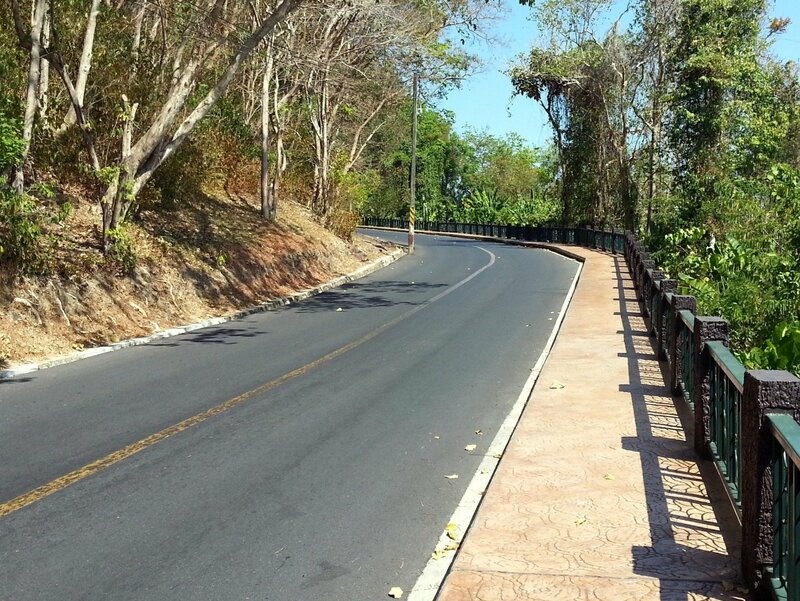 Times have changed and roads have superseded canals as the main form of transport between Bangkok and the Eastern provinces, however, the market has cleverly adapted to new circumstances by not changing at all. 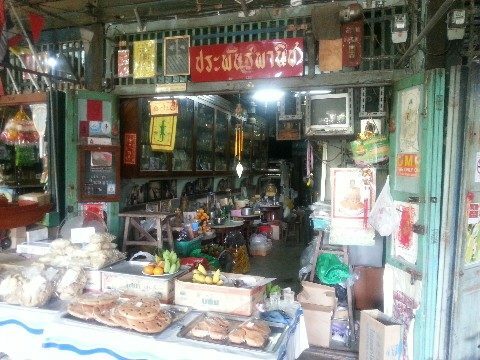 The market has stayed pretty much as it was 100 years with the traditional Thai-Chinese shops selling much the same things as they did when it open, albeit with with more souvenir type products. There are a range of unusual products and services on sale at this market that you will struggle to find elsewhere, and certainly not all in the same place. The emphasis at this market is on traditional products, particularly foodstuffs, which are made using traditional methods and before refrigeration and chemical processes to preserve food. Amongst the astonishing array of interesting things done with rice, fruit and meat you will find touristy souvenir with modern items like pens given an old world feel by being made of wood, and some genuine craft items such as lamps and ashtrays made out of large pieces of bamboo and the such like. 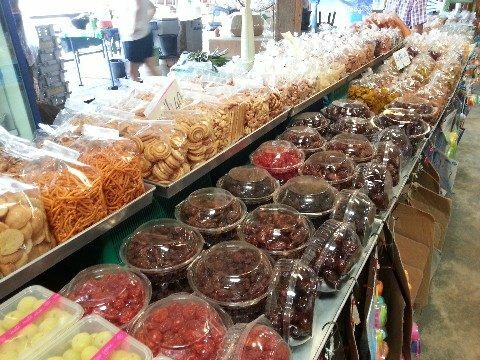 The highlight of a trip to the 100 Years Market for the majority of visitors is the chance to eat unusual foods, and bear in mind what a predominantly Thai audience finds unusual will come across as ‘bizarre’ to people who are not Thai. Before industrialisation and rapid mass transportation of goods, Thai people eat very different types of things. Refined sugar, for instance, was not widely available and people used substitutes nor diary products, and at the market you will find lots of unusual deserts utilising ingredients in ways you won’t find in contemporary Thai cuisine. 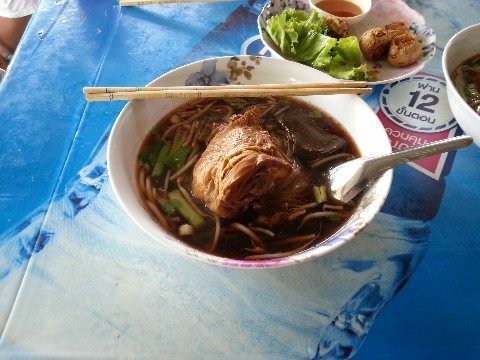 If barbecue rat and chilli paste made from the eggs of giant water bugs (both taste better than you imagine) aren’t your thing then can I suggest that you try duck noodles at the small sit down restaurant near the foot bridge separating the two section of the canal market. This small shop is renown for its duck noodles and people travel a long way to eat duck noodles here. The dish features a large piece of duck in a highly flavoured broth with noddles and vegetables and condiments to add at your own discretion. A world class dish deserving of a Michelin Star at the bargain price of 60 THB. Mr Lee, who sadly passed away in 2013, was for many decades one of the great characters of the 100 Year Market well known in his community and a minor celebrity featuring in many Thai newspapers, TV programmes and magazines. At the time of his death he was over 80 years old and had lived and worked his entire life at the market. His main business was a coffee shop which is now run by his children. Tea and of course coffee is made here in the traditional way with tea and coffee grown in Thailand and Laos. You can have the more modern style of coffee made using a machine, but why would you want to do that when you can have coffee made on the old way with hot water passed through ground coffee in a cloth bag. 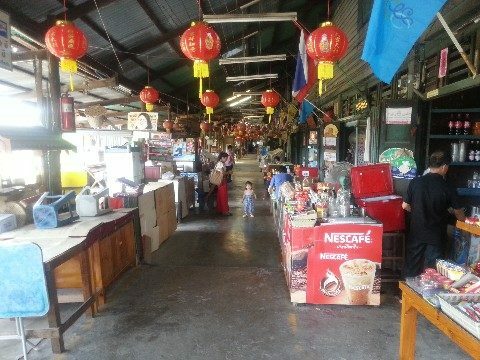 The iced (Oliang) coffee they make here is considered by some to be the best in Thailand. 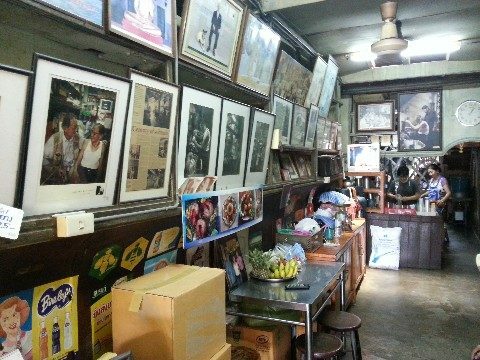 The other interesting thing about this shop is the collection of old photographs of Mr Lee, his family and the market that hang on every available piece of wall inside this narrow Chinese style coffee shop.